Are You ‘Real’ to Your Clients? Are you really being ‘real’ to your clients? Are You Just Following a ‘Template’? As a musical performer, I know you first have to learn the music (the ‘template’). But then, you have to add YOU. That is, you have to add the interpretation that ‘speaks’ to you personally. Otherwise, it’s just notes on a page. So many times, I’ve seen leadership and salespeople merely follow the template. That’s great for a beginning, but it doesn’t create a connection to others. In fact, it creates a dissonance. You know what I mean. You’ve heard a salesperson say, “Does 1 PM or 2 PM Tuesday work for you?” You probably want to scream (as I do), “Be human, you’re not an automaton.” Now, it’s fine to give people choices, but, if you sound as though you just memorized those words, and are not actually interacting with another human being, you’re creating distrust, not rust! Get past the templates. As a salesperson, you bring to your clients some very unique and valued attributes. However, many times salespeople do not use these attributes to commnicate and gain trust. Instead, they rely on the old ‘templates’–those cliches and sayings that we just don’t find ‘ring true’. For example: You have a background in art. Are you using that background to communicate and ‘share’ YOU with your clients? Are you using that skill visually in your presentations? If not, you’re missing an opportunity to relate. And, in this day in age, relationships are what hold a client to the agent over time. What life experiences have added to your success? What skills do you bring to what you do today? How can you communicate those as a benefit to those you serve? Translation: I don’t want them to memorize each word. Instead, I want them to feel the rhythm of the process and follow that. The outcomes: Great presentations with relaxed presenters! You’re adding YOU to the template, which makes you believable. Want guidance in how to teach with verve and confidence? Check out all my training guides at my website, carlacross.com. Last night at Carnegie Hall, Jack Benny played Mendelssohn. Mendelssohn lost. When she started to play, Steinway himself came down personally and rubbed his name off the piano. Is Your Business Plan Making–or Costing–You Business? Through December and early January, I’m featuring business planning in my blogs. Everyone knows they need business plans. Yet, most people attempt to write a plan without a system–a guide–a map. Here are some aspects to look for in your planning system. Is it a System, or is It Just a Piece of Paper? 1. Customization. Is the plan customized and proven for your business? You need a system that is proven for real estate salespeople. See the end of this blog for a ‘flow chart’ of a complete listing system. 2. Specific analysis of your past selling history. Does your planning system give you direction in analyzing the most critical parts of your business in the past year? This is one area that most planning systems gloss over. Yet, it is the most important area for real estate professionals to assess. Knowing exactly what your business habits were–and the results of those habits–will lead you to make changes in your business, both in business habits and in budgeting. For example: Do you know the ratio of your listings taken last year–to your listings sold–in normal market time? Most agents don’t. Why? Because they weren’t asked that question in their business planning systems. 3. Separates the “dollar-productive” activity portions of your business from the support portions. Many agents fail because they don’t do enough “dollar productive” activities, those activities that directly lead to sales and listings sold. That’s because the business plan system they’re using doesn’t differentiate between those activities and “support” activities. In her work nationally with real estate companies and agents, Carla Cross has analyzed hundreds’ of agents’ plans. She has found that the planning system itself, if it’s deficient, will lead the agent off-track. All Activities are NOT Equal. Poor business planning systems are structured in a way that leads the agents to believe that all activities are equal in outcome. Not true. It all needs to start when the agent first starts the business. Up and Running in Real Estate, Cross’s online business start-up plan, has clearly prioritized activities, numbers, strategies, and dialogue. Agents shouldn’t ‘graduate’ to a long-term plan until they’ve mastered short-term planning. Being critical of your planning system is really the first step in planning a successful year. You’ve made sure the system you’re using is going to lead you through a thought process that automatically creates a good business plan. Now, the only thing left to do is the implement your plan! Thought you’d get it done but it’s still on your ‘to do’ list? I want to help! Through Dec. and early January, my blogs feature business planning. What should a business plan do for you? Appease your manager? (I’ve been there, so I know that’s why we do it sometimes….) Or, should it actually provide you specific, day-to-day guidance about what to do to make your business thrive? If you’re a practical person like me, you don’t like to do ‘busy work’. You and I believe, then, that a business plan should have a practical application for every day of your business. How Does your Business Plan Stack Up? Take this quick ‘exam’ to see how your business plan stacks up. Does your plan have an over arch of your vision? Few business plans start with vision. This causes huge problems when real estate professionals try to implement—such as implementing a marketing plan. A potential coaching client told me she ‘wasn’t very good at marketing’, and wondered how to get better. You can’t become a great marketer unless you have a very clear vision of who you are and where you expect your journey to take you. It all starts with a crystal clear idea of your vision, mission, and positioning in the market. Your business plan should contain these very important statements. Then, when you design an institutional marketing plan, you’ll be able execute your thoughts and feelings visually. If your vision and mission aren’t well defined in your business plan, you simply have no solid foundation to make those tough leadership decisions. Are you ignoring the obvious? If your planning ‘template’ doesn’t lead you through the analysis of key business statistics, you simply don’t know what happened. So, you can’t possibly make decisions for next year, because you don’t know whether to do it, stop doing it, or start doing something differently! Example: What percent of your listings sold within normal market time? What was the percent of list price to sale price? Few business planning templates ask you to grab these statistics and analyze them. Yet, these are the statistics that directly point you to your strategies and tactics for the coming year. Is your business plan so theoretical that no one could follow it daily? I have seen so many business plans that only played on the ‘results’ playing field. Writing down the results you want are great, but if your plan doesn’t get down to where the rubber meets the road, (what you need to do daily), you simply are doing an exercise. In other words, you have to get past the ‘what’ and get to the ‘how’ and ‘how much’. For example: You may say you want to increase your ‘sold’ listings by 25% in the coming year. How are you going to do that? You may build into action part of your plan that you are going to take several courses in gaining marketable listings. Michael Gerber, author of The E-Myth and The E-Myth Revisited, says that a business plan consists of the integration of systems. Most managers and agents feel they are working too many hours. They want to be able to delegate specific duties. But, without systems and processes in place, delegation is impossible. Sell me your business. Pretend you wanted to sell me your business. I walk into your office. What systems do I see? What systems can I buy from you, so I don’t have to ‘reinvent the wheel’? What systems do you have that integrate and reflect your values in the overall way you do your business? How did you do on the ‘exam’? Here’s your opportunity to think through your business at a much deeper, more meaningful level. Doing so will re-motivate you, re-ignite your passion, and provide you some solid answers for next year. Click here to see each of the parts of a business planning system–and the order in which they should be explored. Grab My Online Business Planning Program! Social Media: Do You Have It in your Business Plan? In December and early January, I’m focusing my blogs on business planning. How have you integrated social media into your business plan? Where does it go? In your marketing part of your plan. That’s pretty easy. But, what do you want social media to do for you? Sell houses? Get calls to you? Increase your image? Before we can answer that, we have to define types of marketing and how to measure its success. One of the biggest questions agents ask is, “Does social media work?” Well, that depends on what you expect it to do for you. 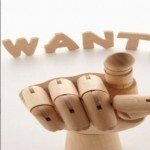 To make any of your marketing effective, you must first decide what your objectives are for that marketing. Then, you can set up appropriate measurement tools. Merchandise: That means advertising a product or a service to ‘get the phone to ring’, or to get a specific, immediate response. An example of merchandise advertising would be placing a home ad in the newspaper—or placing a home ad on Facebook. Institutional: That means advertising that increases your image, cements your uniqueness in the mind of the consumer, and/or establishes you as the agent of choice. These are not placements that make the phone ring, or get an immediate response. Instead, this kind of marketing is more subtle. It is also more difficult to measure, but, it can be measured. How? By establishing a baseline of consumer perceptions about the product or service, and then measuring the consumer perception after the campaign. (Best to hire a professional marketing service to do this, because it requires expertise). What do You Expect from your Social Media Efforts? If you’re placing homes on Facebook, you probably expect to get inquiries on those homes. Are you getting them? Do you have a method to measure results? Or, if you’re not expecting an immediate response, why are you putting the home there? To show your Facebook friends you are successful? You decide. If you’re blogging, what to you expect to get from blogging? If you’re establishing yourself as a neighborhood expert or expert in certain types of homes, you should be able to see more acceptance and trust from the consumer after you consistently and frequently add to your blog. Frequency and consistency are the by-words of marketers. Yet, advertising executives always complain that their clients expect results too quickly and change their campaigns way too soon. Just think. How many times did you have to hear that pop tune until you started recognizing it? How long until you could hum it? Probably anywhere from 8-20 times! In my online business planning system, I show you how to create a marketing plan. Put your social media into that plan, be clear about your objectives, and set up consistent and frequent efforts to your best target markets. Now, you’re using social media as part of your overall marketing strategy. During December and early January, I’m featuring business planning in my blogs. Do not create that business plan—at least, not the way you’ve been doing it! Why? Because it’s just a bunch of numbers. You’ve done it before, so you know it doesn’t inspire you. In fact, I’ll bet you never even looked at it after you did it! So, am I telling you NOT to create a business plan at all? No. I’m telling you not to create a plan using the same ‘template’ you’ve used in the past. Here’s what you’ve been leaving out: The parts that inspire you, keep you motivated, and give you the ‘why’ of your plan. Without those parts, you’ve just got some ‘generic’ numbers. Numbers Don’t Inspire. Visions Do. Martin Luther King didn’t say, “I have a business plan.” He said, “I have a dream.” Put your dreams in your business plan. You need a vision as your foundation to your plan. That vision inspires you to keep doing the right thing, not the expedient thing. After all, your goal is to create ecstatically happy clients, not merely to do a ‘next’ kind of business. How do you know what moves to make? Do you pack your business plan full of tactics that you heard from the seminar gurus? Do you do the lead generating tactics your friends do? Do you spend your marketing money by trying to copy that ‘gorilla agent’ in your office? If so, you’re really missing the point! You need to do a thorough ‘review’, to find out what worked in your business, where you spent your money, and how your lead generating sources worked out for you. Finding out those things guarantees you’ll know exactly how to create a business plan for success next year. Do you have a mission statement? I’ll bet you left that out, too. The mission statement tells exactly who you are in the business, the areas you serve, and your specialty services. It does not have $$$ in it, and it is not a ‘future’ protection. It portrays you in your ideal situation as an agent, so you can use that mission to inspire you during the tough times. q Remember that each of our clients’ well-being transcends all other considerations! What does the mission do for me, as owner? It helps me choose the right coaches. It helps me communicate our values. It helps me choose the right clients! It helps me remember that it’s not the dollars we’re getting that’s important—it’s the clients we help have a better career and life. Now, you have a real business plan you can follow and use for guidance and inspiration all year. Business Planning: Where’s Your ‘Review’? If you’ve been in the business any length of time, you know how much more challenging this business is than it used to be! Yet, most of the information we are still getting is about day-to-day selling and managing. However, we’ve learned that we can’t just keep completing tasks and get ahead. We know that, after we’ve conquered sales and management basic skills, we still have a whole group of skills to master. Those are called ‘business skills’, and they require as much dedication to master as do those sales and managing skills. One business skill is analyzing your business. 2. Business plan activity review tool. This allows you to capture the history of your business in a way that clarifies your direction. For example, does the tool you use ask you where you got your business last year? Does it ask you the percent of your listings you sold in normal market time? Find the tools that ask you the right questions. Motivation: Do You Know the Magic and the Mystery? Motivation: The Magic and the Mystery…..I named this blog that way because my experience shows most people don’t understand motivation at all. So, if we don’t understand it, how do we use it? Yet, what if your manager isn’t the type to catch you at the right time, say all the right things, and provide specifically what you need? I know, from being in management a long time, it’s practically impossible to keep agents ‘pumped up’. Most of our motivation has to come from within. There are two ways to get that motivation, that appreciation, that support you need. Many people think someone else should be in charge of their attitude. But, there’s another method. That’s the method so few of us use: Going inside. We shy away from acknowledging our own efforts. Why? Perhaps your mom (as mine did) told us not to brag. It was unseemly to be immodest. Actually, though, we have our own outboard motor on-board–our own minds. We have the ability to change our minds about things (especially we women, men say…). We have the ability inside us to re-draw a conclusion about an event. For instance, we managers get ‘down’ when the agent we thought we were going to hire went to another agency. We can look at it as a loss, or as an opportunity to learn from the experience. If we’re good at managing our attitude, we’ll call that agent to find out what attracted that agent to the other company–and learn from the experience. Check out my latest book, literally a ‘little book’–full of motivation and sales tips that work! Do You Know Who Your Motivational Manager Is? Who’s motivating you when you need it? Maybe you’ve never thought about it, but, in attaining goals, having an inspiring mentor is a huge determinant. We think we can do it ourselves, but it is very difficult to self-motivate through tough times. Where did Khadijah Get Her Tenacity? What aspects of Khadijah Williams’s life caused her to veer off the homeless, dependent path and toward higher education? Who inspired and motivated her? Someone told Khadijah she was smart. In the third grade, she scored in the 99th percentile on a state exam. Her teachers told her she was gifted, and put her in special programs—even though her schooling was intermittent—and she moved schools constantly. Question: Are you able to block out the negative and focus on the ‘positive you’? Khadijah believed in herself because she believed what her teachers told her about herself—the positive. Question: Do you have the tenacity to turn the positive comments into unshakable belief? Khadijah realized she couldn’t do it herself, and sought out organizations and mentors. Question: Do you seek out mentors who encourage and inspire you? Question: How long are you willing to fail to succeed? Even though her mother and sister continue to live the homeless lifestyle, Khadijah never blamed her relatives or her environment. Question: How good are you at putting yourself around winners? Yes. It’s real estate sales can be challenging. But, if this homeless girl with absolutely none of the advantages almost all of us have can put these five attributes to work and step so very far out of her comfort zone, our challenges don’t look so huge, do they? Who/what inspires you? Let me know who and what inspires you . Managers’ tip: Why not do this as an exercise with your agents? You’ll inspire them and re-light the fires of desire so they’ll be eager and enthusiastic to do what needs to be done to get back into the action. Check out my lateset book, literally a ‘little book’–full of motivation and sales tips that work! Building your team? Here’s what you need in your post-interview package. 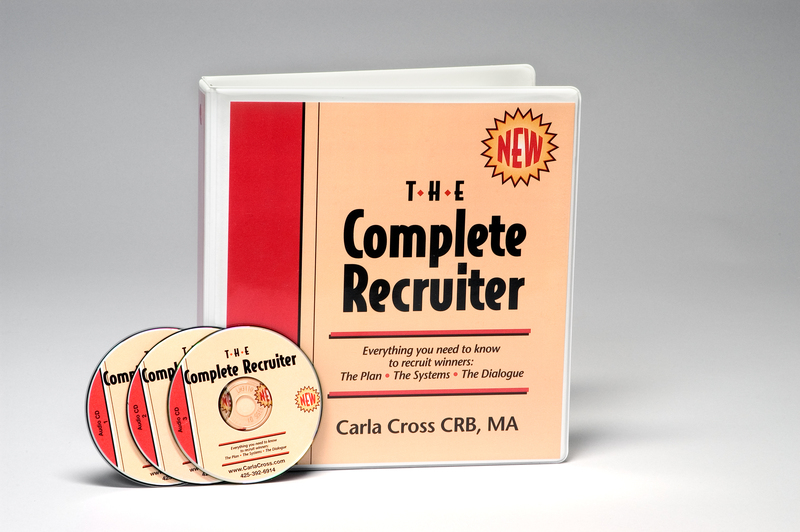 This month, I’m focusing on recruiting and selecting systems, to help you work faster and better and recruiter winners. We remember only 10% of what we heard three days later! Unfortunately, candidates don’t remember much of what we discuss in the interview. Or, they remember it wrongly. It seems easy to us, but, it becomes a muddle to them when they interview five companies in as many days. So, take the time to assemble what I call the after first-visit package or post-interview process. In it, you’ll reiterate important points, and again differentiate yourself and your company. are true, as we know in real life. So, put these to use in your post-interview package. 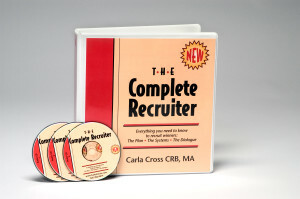 Here is a sample list of the materials you may include in an after-first visit recruiting package. Note that some of the material is duplicating your pre-first visit package. Also, sometimes you won’t have the opportunity to provide a pre-first visit package. Of course, you’ll always have the ability to customize each package. However, it’s much easier to do this from a prepared package than to start from scratch each time. Well-assembled packages reflect clear thought processes. Merely putting these together will clarify your recruiting and selection story. It will help you figure out and communicate your culture and values. It will provide you differentiation and memorability. It says to the candidate, I prepared for you. Your time is valuable. I am here to dedicate my skills and talents to help you develop your business. You will recruit more and better team members, you will save time, and you will be able to delegate or clone yourself by hiring a manager or recruiter when the need arises. Want to avoid re-inventing the wheel? Check out my recruiting resources here.